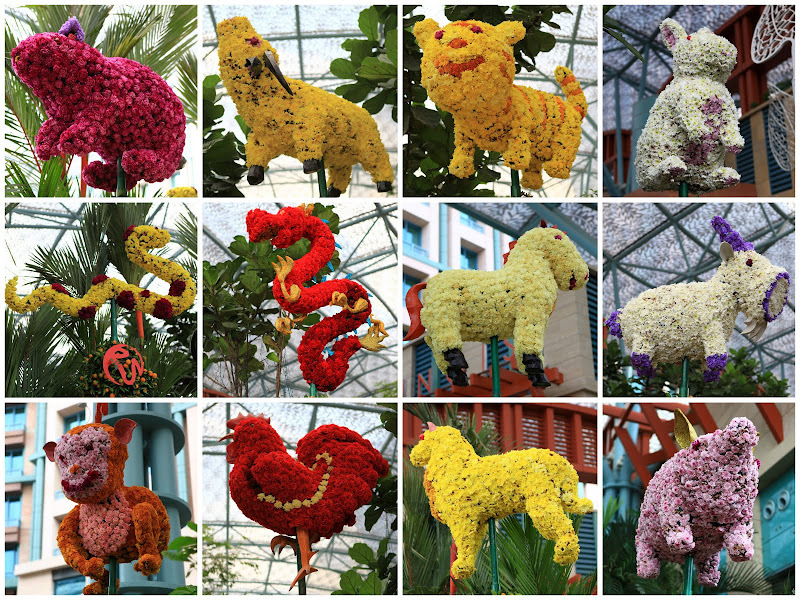 Themed “Spring Wonderland” (奇幻花屿世界), the Sentosa Flowers 2011 Show features more than 200 types of flowers, trees and plants from all around the world. Opens from the 3rd Feb to 13th Feb, the show promises lots of spectacular displays. 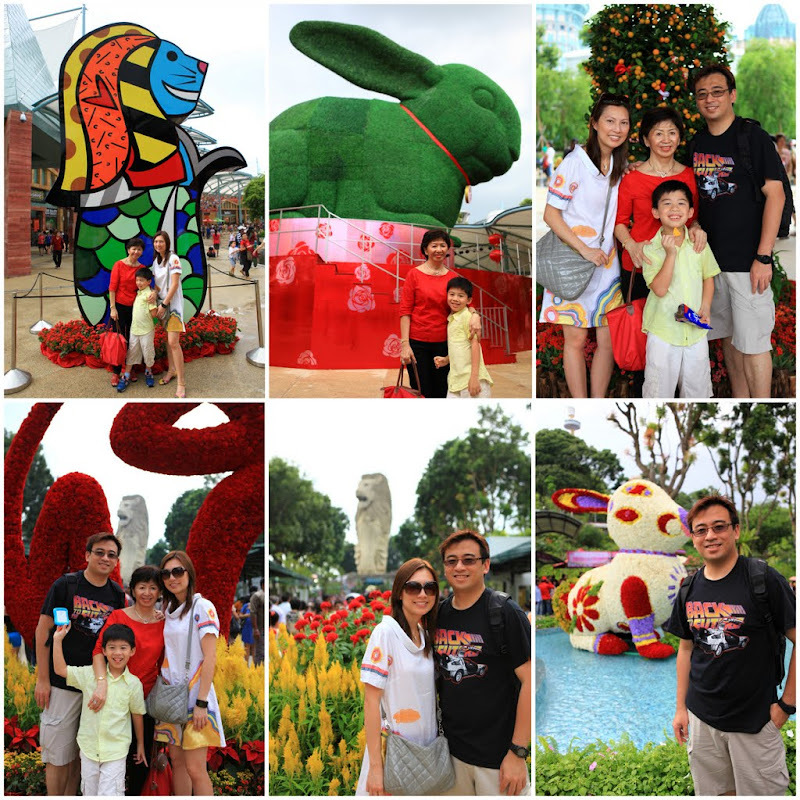 Do check out one of its most publicised attractions – the world’s tallest and largest topiary “Fortune Rabbit” (14m tall) rotating right outside Resorts World Casino. 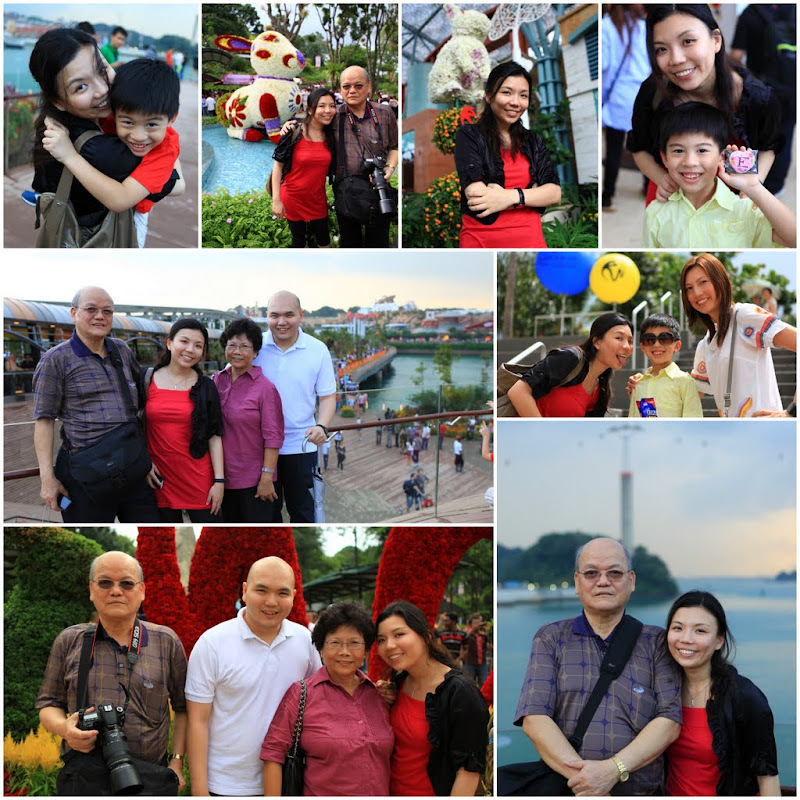 Together with Tracy’s family (and my new photographer buddy – “Uncle Bay”), we went there on its 2nd opening day and it was crazily packed with thousands of people! It was worse than weekend shopping in Orchard Road. It was impossible to enjoy the flower displays at your own pace. The path was packed with moving people and you will be pushed along. Taking photos was another big challenge. Out of nowhere, you get “extra family members” in your shot. (While we were taking a photo for Tracy’s family, an Indian tourist squeezed himself right beside Tracy!) It is not advisable to come during the festive weekend, try the quieter week days. 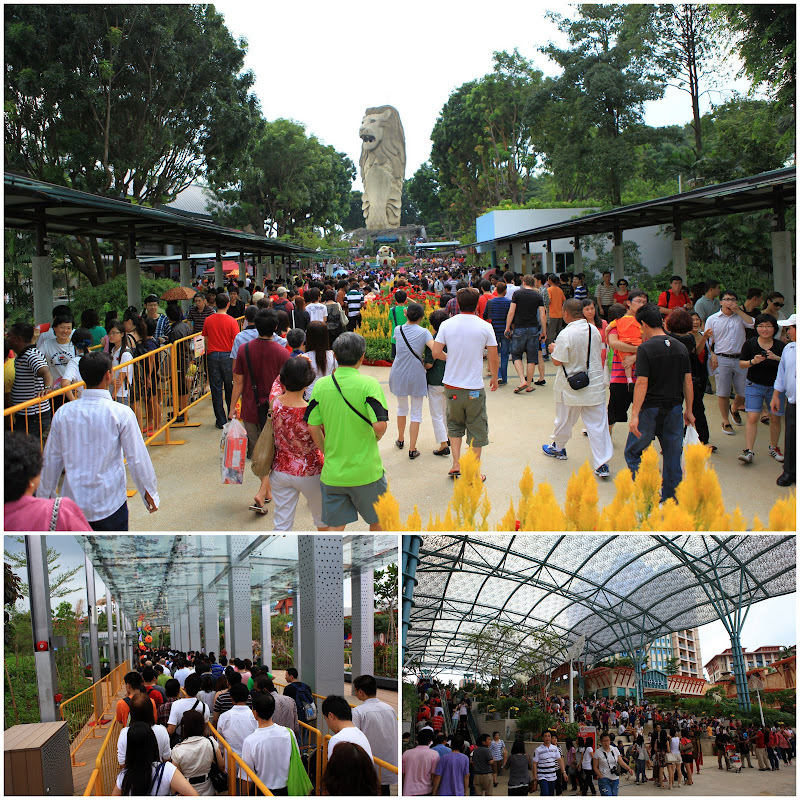 Thanks to super 1 hour-long queue at the Sentosa Express (monorail), we decided to go to Sentosa by foot. 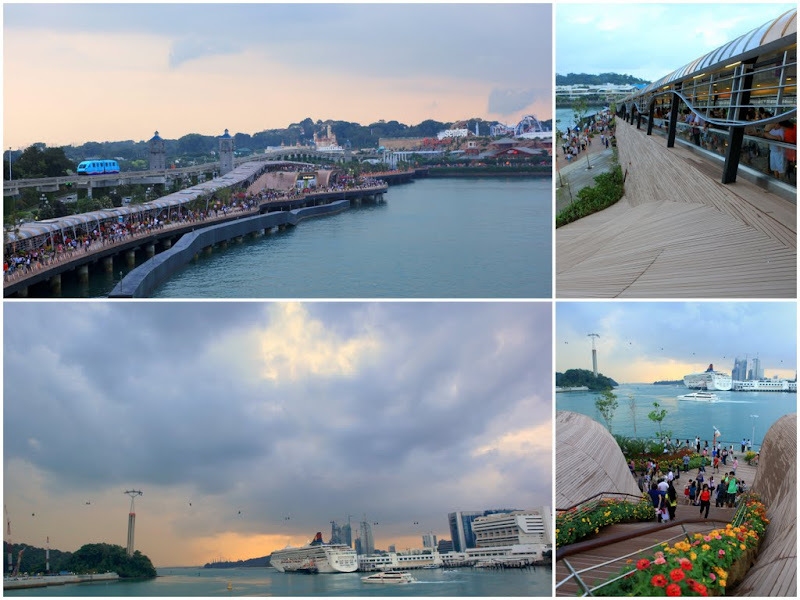 We took a breezy and scenic travellator-walk across the very new Sentosa BoardWalk (which opened less than a week ago!). This 620m broadwalk offers a relaxing 2-way travellator, well sheltered by its wooden curvy canopy. When standing on the moving travellator, you get a good 180-degree view of the sea that separates the two islands (Singapore and Sentosa). 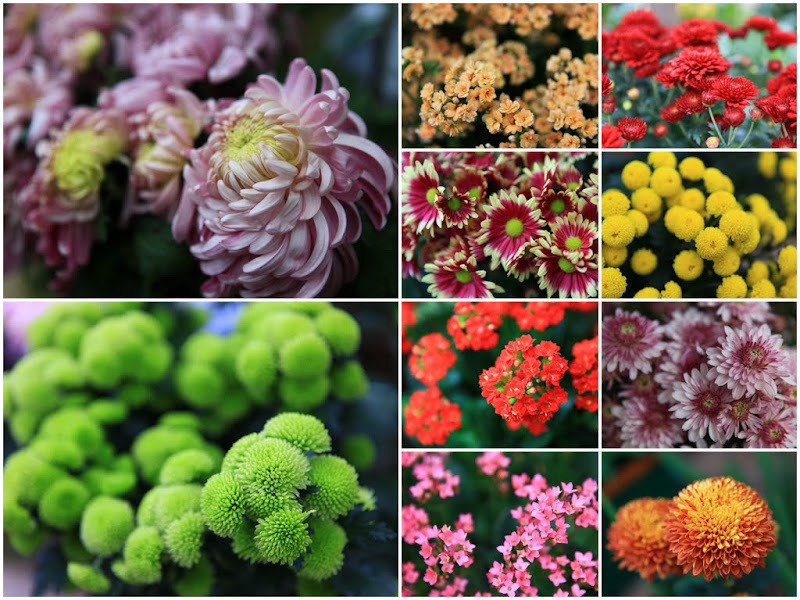 The Flowers Show is worth a visit but avoid the crowded weekends or festive holidays if you want a peaceful and quiet stroll with your loved ones in the park. Bring an umbrella too – the wet Singapore weather is just too unpredictable. These photos are phenomenal! 🙂 All of the flowers are amazingly beautiful. I’m sure you had a great time with your family during this event. All the best!